Dr.Nasser Alqahtani works as an Advisor to the vice president for drug affairs – Saudi Food and Drug Authority (SFDA). As a scientific advisor, he oversees all pharmacovigilance, drug safety, and pharmacoepidemiology activities including, research, mentorship, hands-on training and offering consultations. He receives his B.S. in Pharmacy from Saudi Arabia and M.Sc. in clinical pharmacy from the UK and Ph.D. in Health policy and outcomes research (Major: Pharmacoepidemiology) from USA. He had been a member of the establishment team of the pharmacovigilance system in Saudi Arabia –SFDA. He is a member of a couple of professional organizations: the International Society for Pharmacoepidemiology (ISPE), International Society of Pharmacovigilance (ISOP) International Society of pharmacoeconomics and outcomes research (ISPOR). 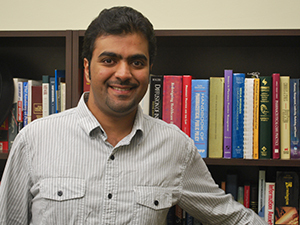 He serves as an associate reviewer for the Pharmacoepidemiology and Drug Safety (PDS) journal, the official journal of ISPE since 2012, a chairperson of the scientific committee of SFDA research center, and a senior research associate for the medication safety research chair at a highly ranked university in Saudi Arabia (KSU). He is a member of the national pharmacovigilance Advisory Committee and the IRB/ ethics committee – SFDA. His area of research focuses on the development and application of epidemiologic and statistical methods for evaluating the safety and comparative effectiveness of medical products in large healthcare databases.